Chinchillas are primarily nocturnal rodents who live in groups of 14-100 animals. Chinchilla fur is very dense with 60 hairs growing from each follicle. Most mammals, including people, have only one hair per follicle. This fur keeps them warm on the cold mountain slopes. 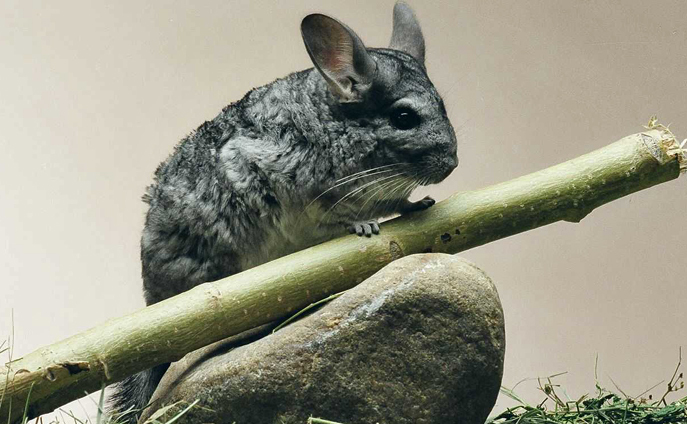 To clean their fur, chinchillas roll in dust to absorb any oily dirt.